MARSEILLE, France -- Sometimes, all it takes is for your opponent to scratch on the eight ball. France's 2-0 defeat of Germany at Euro 2016 wasn't undeserved; it was simply a reflection of the nature of this sport. Whether you dominate or are dominated, sometimes winning or losing rests on other factors, such as luck or individual brilliance. If it goes your way, it doesn't mean you're undeserving. It just means you were there to seize the moment when the gods smiled on you. Now France have a chance to win their fourth major tournament and their third on home soil after Euro 1984 and the 1998 World Cup. "It was a very tough game. Germany really made us suffer," France manager Didier Deschamps said. "But we never gave up. And we suffered together -- the players on the pitch, the fans in the stands and watching at home. And that saw us through. "We made history tonight. We don't have the power to solve all the problems of the French people, but we can generate happiness and confidence. And that's important." Deschamps stuck with the starting XI that pummeled Iceland, a strategy that was somewhere between bold and foolhardy. It's one thing to leave Blaise Matuidi and Paul Pogba on their own in midfield when you know your opponent is physically exhausted and likely to sit deep in their own half. It's quite another to do it against manager Jogi Low's Germany, a team predicated on committing waves of moving bodies forward intent on passing through your lines. An extra holding midfielder comes in handy in those situations. That said, Low had his own decisions to make. 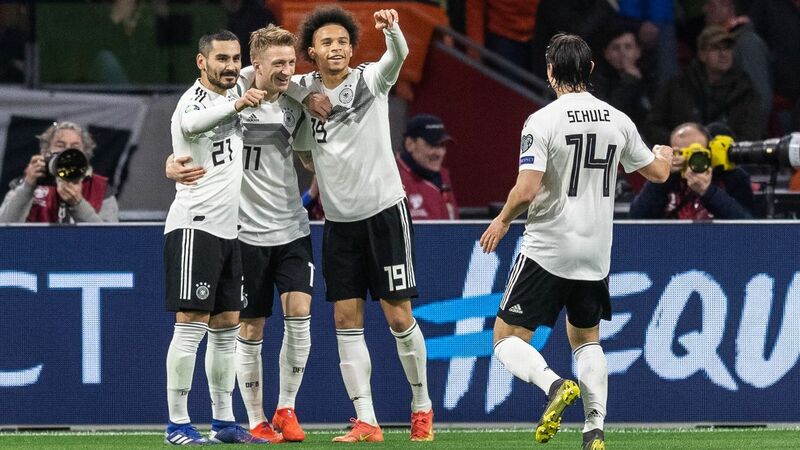 With Mats Hummels suspended and both Mario Gomez and Sami Khedira injured, Low switched from the 3-5-2 employed against Italy to the more familiar 4-2-3-1. Emre Can joined Bastian Schweinsteiger, an injury doubt until 24 hours earlier, in front of the back four, with Toni Kroos in the hole. Thomas Muller was up front, with Mesut Ozil and Julian Draxler wide. Perhaps fueled by a rousing rendition of their anthem -- nowhere is it more appropriate for "La Marseillaise" to be sung than here -- Les Bleus came out of the gate on the front foot. Seven minutes in, we saw perhaps the best move of the tournament: Antoine Griezmann and Matuidi combined on a stunning series of first-time passes (including a back-heel) that resulted in Griezmann firing on goal, only for Germany keeper Manuel Neuer to palm the shot away. 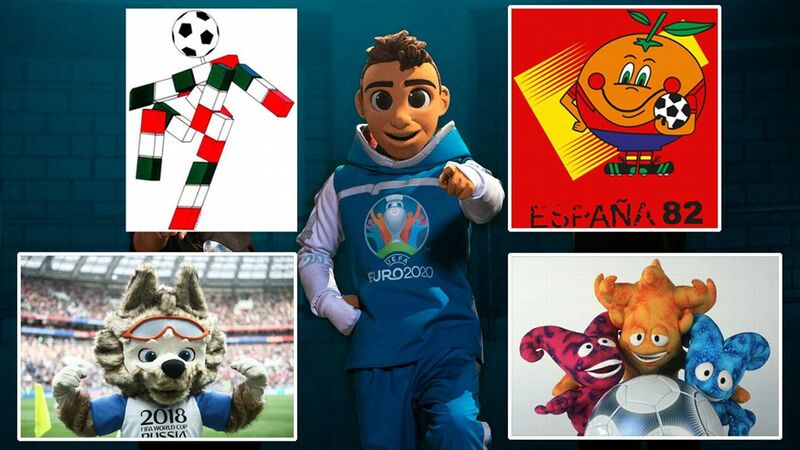 France defeated Germany to set up a date with Cristiano Ronaldo and Portugal in the Euro final on Sunday. It was the sort of move that jacks up the decibel count. But Germany -- in case you had not realized it by now -- are not easily fazed or intimidated. Schweinsteiger and Kroos wove their spidery webs increasingly closer to France keeper Hugo Lloris' goal. Can thundered his way through the middle, sometimes becoming a de facto adjunct striker. Muller fired an uncoordinated effort wide. Lloris had to make a tremendous strong-handed stop from Can's deflected snap shot, which bounced on the way in. And Schweinsteiger fired high. All Germany lacked, perhaps, was a bit of precision in the final third, but it was as sustained a spell of dominance as you're likely to see against a top side. Still, this is a low-scoring sport and things can turn in an instant. Two such situations went France's way late in the half. First, Olivier Giroud caught Jerome Boateng in possession and trundled through with a clear path at Neuer's goal. It may have been an optical illusion, but the Frenchman seemed to slow down even as he ought to have been accelerating. Nor did he hear -- or heed -- the desperate Griezmann steaming through on Giroud's right. Instead, Giroud's run was brought to an end by an outstanding tackle from the unheralded Benedikt Howedes. As the ball trickled out of play, Giroud got up slowly, incredulously, while Howedes clenched his fists and let out an earthy scream. It seemed that the way things were going, this was the only opportunity France would have. Instead, just before half-time, they got another -- this one out of the blue. Schweinsteiger led with his arm in contesting a corner kick that was headed toward Patrice Evra and deflected the ball away with his hand. Referee Nicola Rizzoli, after advice from the official behind the goal, who had a clearer view, pointed to the spot. It was a baffling mental error, eerily reminiscent of the penalty that Boateng gave away in similar circumstances against Italy, which nearly cost them the game. Griezmann buried it from the spot, and for the first time in 525 minutes of Euro 2016 football, Germany were in the hole. It was entirely against the run of play. "The goal was a shock, because until that point France had not really created anything," said Low. "I had to calm my players down in the dressing room, because it makes no sense to waste energy with anger. But it changed everything." There's obviously some Didier fairy dust doing the rounds because, almost straight after the restart, France had another sterling opportunity. A delightful long-range daisy cutter from Pogba found a wide-open Giroud who -- again -- hesitated and lost the moment. His finish was blocked, a clear-cut chance evaporated. At this stage, you got the sense that Germany might take over. Their dominance had been sterile thus far, but that old cliche -- screw up an opportunity at one end (and it was two for Giroud) and get punished at the other -- would kick in. Except more misfortune was on the way for Germany. Boateng went down with a muscle injury at the hour mark and Low sent on Shkodran Mustafi. Germany were patient, perhaps too patient -- Low would later say the French counterattack was a concern, especially Pogba and Griezmann -- and the minutes ticked by without the one-sidedness of the first half. Low waited until minute 68 to send on Mario Gotze for Can, and Deschamps countered, finally, with N'Golo Kante. Barely a minute passed and it was 2-0. Germany tried to play the ball out of the back after a restart. Pogba, growing as the game went on, led the press and stuck a big boot between Mustafi and Joshua Kimmich to steal the ball. A quick look up and an early ball for Giroud, and Neuer's punch cleared the ball, but only as far as Griezmann, who sent it straight back in, past the Germany keeper. "That was great work from Paul," Griezmann said. "I sort of waited around to see if the ball might come out to me, and it did." Germany dominated the first half yet found themselves on the losing end in Marseille. Low was rather less pleased. "We try to play from the back, yes, but in that situation, when it's three against three in our own area, you just have to get the ball away because it's too dangerous," he said. "We didn't do that." Everything was turning a deep, French blue. Germany sounded the charge. Minutes after conceding the second goal, Kimmich found the post from distance. Draxler's free kick came close. Kroos, metronomic as ever, found Howedes, whose close-range header was a smidgeon high. Then, in injury time, Lloris pulled off the save of the match when he kept out Kimmich's header. The crowd roared, the players and the fans did the borrowed "huh" hand clap, and Deschamps beamed like a child with a gold star. Low, as ever, was coldly analytical. When asked what Germany did wrong, he simply said: "Nothing." "I have to compliment my players," he said. "We were the better team. It was just bad luck that we conceded. We still created the best chances. We didn't have the luck we needed. "At the World Cup in 2010 and at the Euros in 2012, we were eliminated in the semifinals by opponents [Spain and Italy, respectively] who were better than us," he added. "Today, that wasn't the case. We were better than the French." You may or may not agree with him. Certainly, to Deschamps and to the French, it matters little. Sometimes it's not just about being better throughout the match. It's about being better in the blinks of the eye that decide it.